If my digital footprint vanished into obscurity today, I’d still be a writer tomorrow. 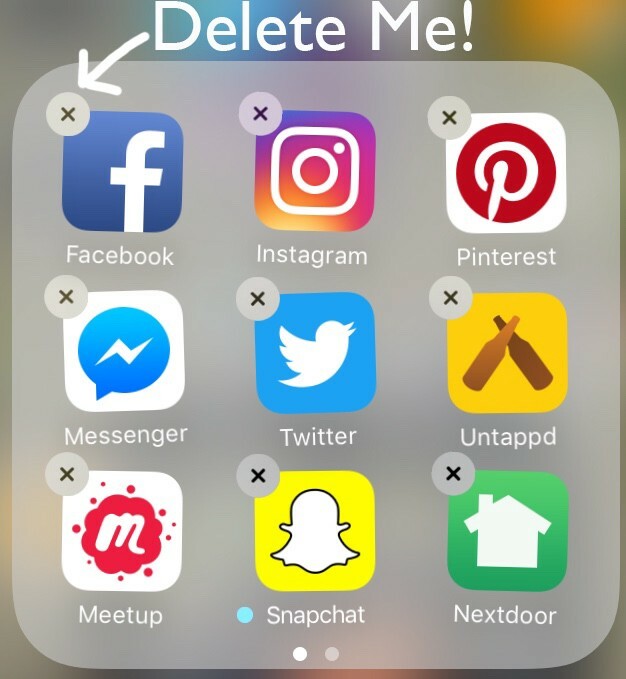 Last week I deactivated my Facebook, Instagram, and Twitter accounts. My decision to unplug from the trio of distraction, self-indulgence, and nothingness was not premeditated. But that’s not to say it wasn’t needed. And that’s not to say it was easy. As a writer, my visibility, identity and overall outreach are contingent upon my digital footprint. This, in turn, requires me to spend hours of my day gauging, branding, and mindlessly scrolling in the hope of finding something to write about, or, at the very least, something to “feel” informed about. In an age where everything from world news to party invitations is exclusively digital, how does a writer, better yet a person function without being plugged in? That’s a question I’ve asked myself more times than I care to mention. I’m not sure if or when I’ll be back. But if this social media blackout has done anything for me, it has granted me a degree of introspection. Self-diagnosing is one of my favorite pastimes. Though WebMD usually tells me I have cancer, it’s still an exciting endeavor. So when I read the symptoms of Adult ADD, I thought I found the “reason” why I was struggling to prioritize business over leisure. It wasn’t until the “big three” were taken away that I realized my diagnosis was a convenient cop-out. I just lacked the discipline to demand more of myself. I’m more productive but less informed. Writing without picking up my phone every other minute is a new, but refreshing feeling. I find that my perspectives and overall aim are sharper than it has ever been. When I reviewed my weekly screen time report, I was shocked and all things disgusted. I was spending a daily average of 10 hours on social media. I’m only awake about 15 of those hours. On the downside, there is a bit of a social disconnect. The biggest dilemma is finding reputable news outlets that don’t hide behind a metered paywall. I must admit, I do miss the validation of strangers liking, loving and even occasionally laughing at my pictures. It seemed almost customary to snap a pic to let the world know, that, I too, do things. Food at a two-star restaurant? Click! Unsolicited peck pic in the gym? Click! My dog doing absolutely nothing? Are you kidding? Click! No close friends or family have reached out to me. With all of the noise blasting at full capacity on the Internet, I’m not surprised they haven’t. But there is an arrogant, perhaps delusional part of me that thought the world would stop when my words were no longer available for immediate consumption. The toughest part of this digital detox has been reminding myself that if my digital footprint vanished into obscurity today, I’d still be a writer tomorrow.